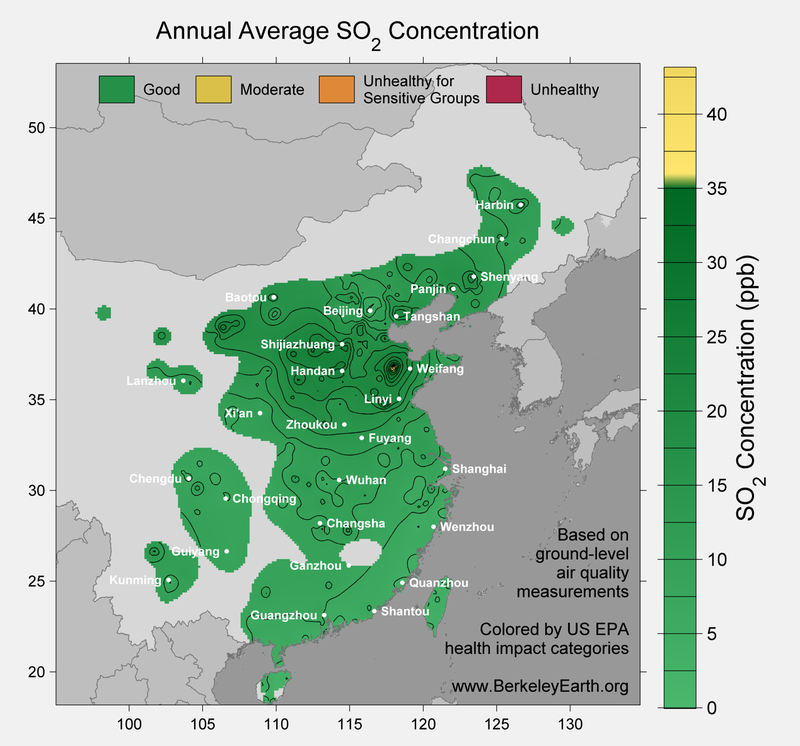 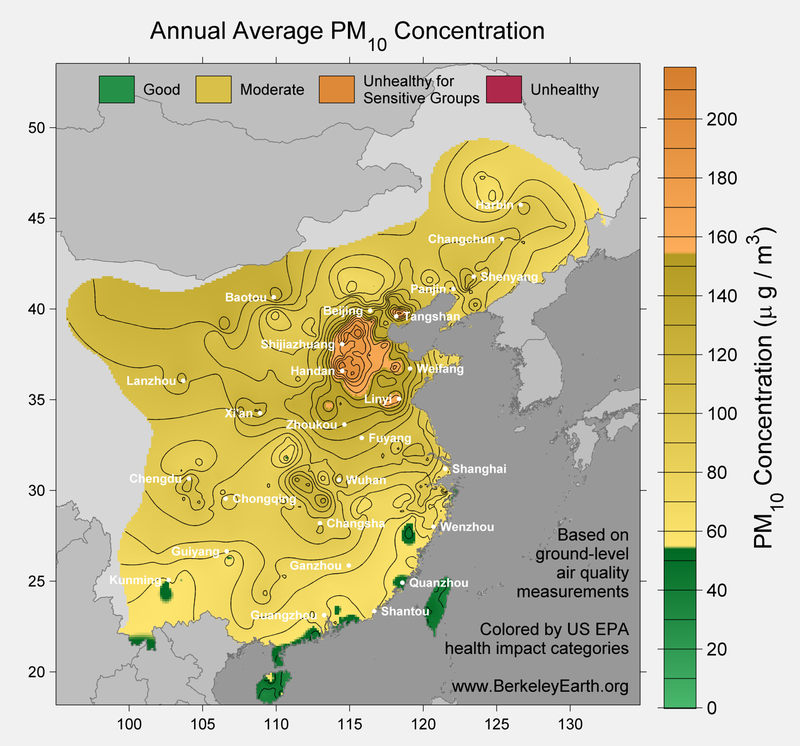 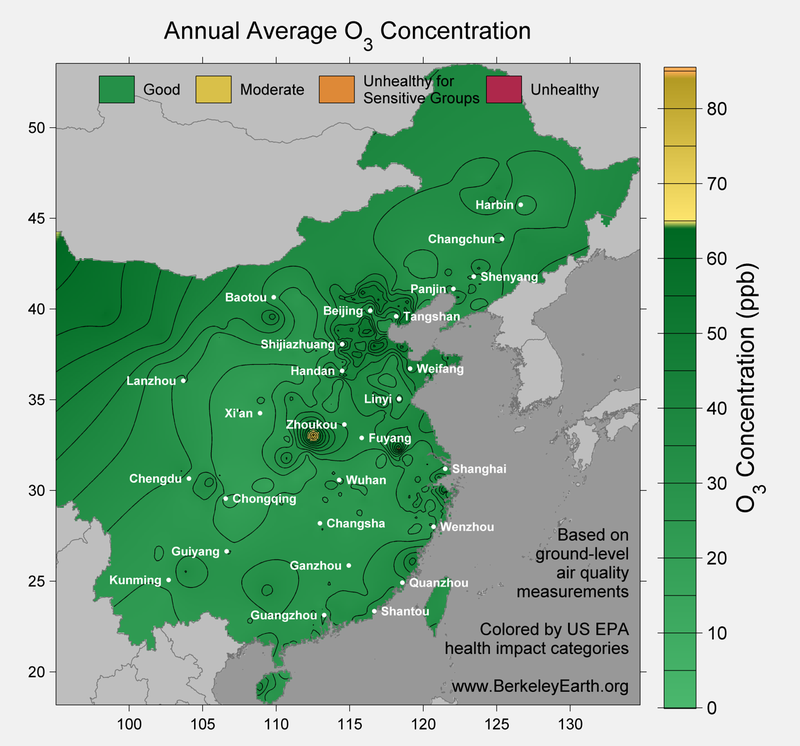 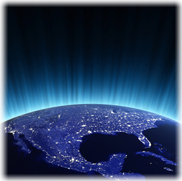 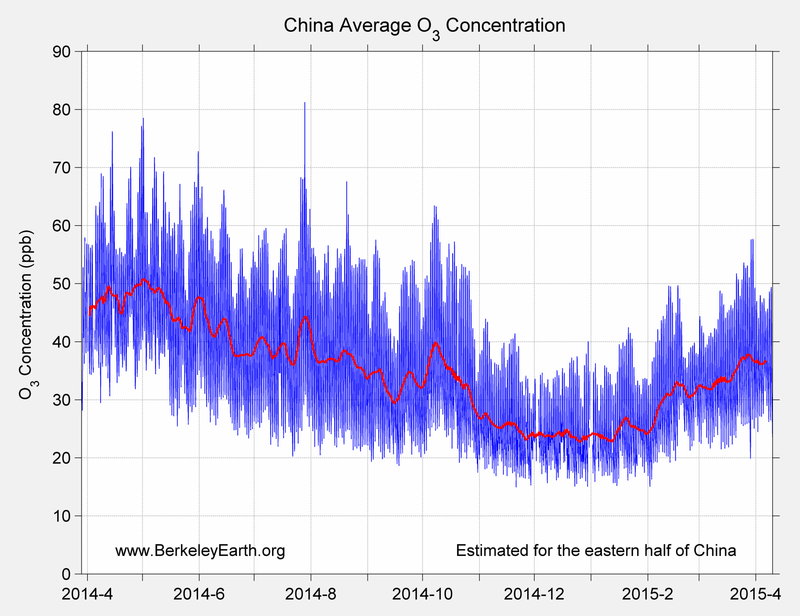 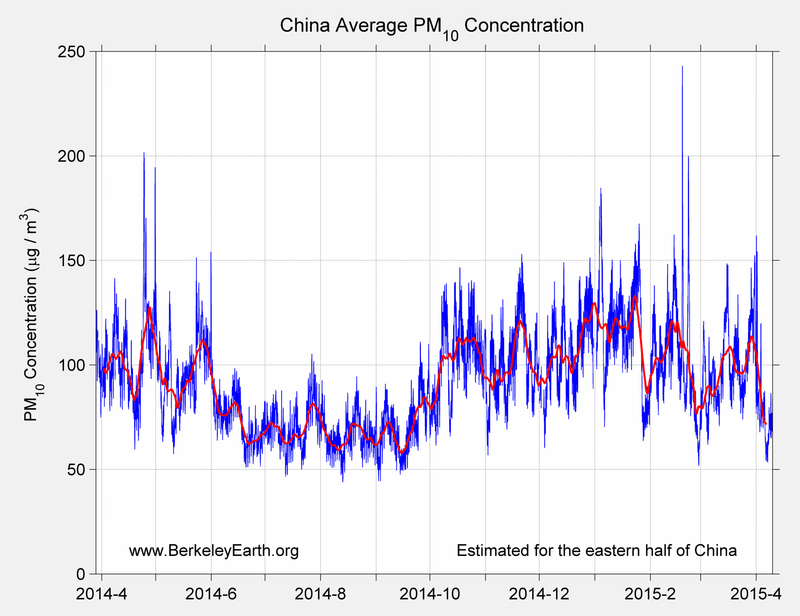 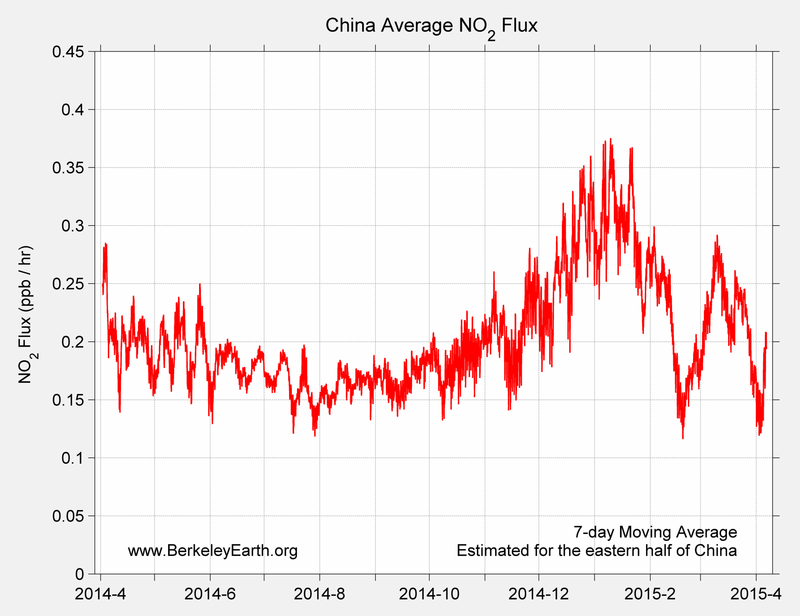 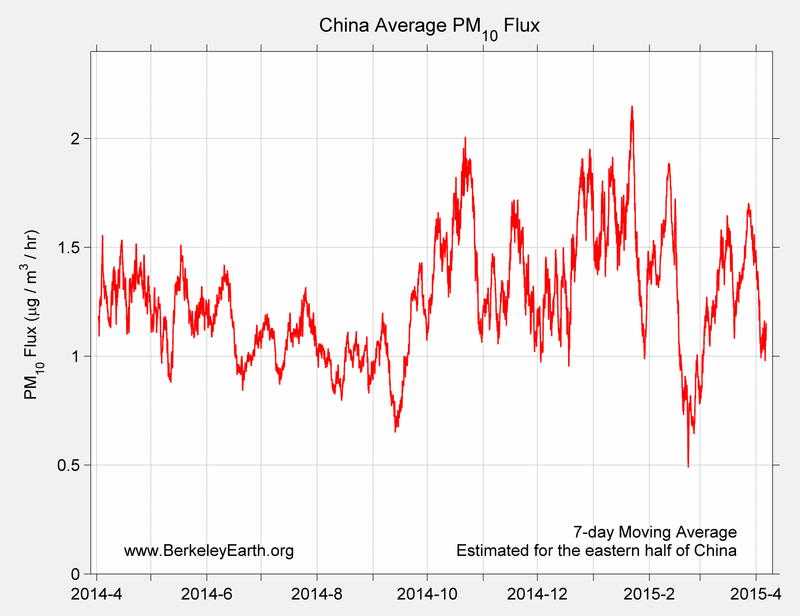 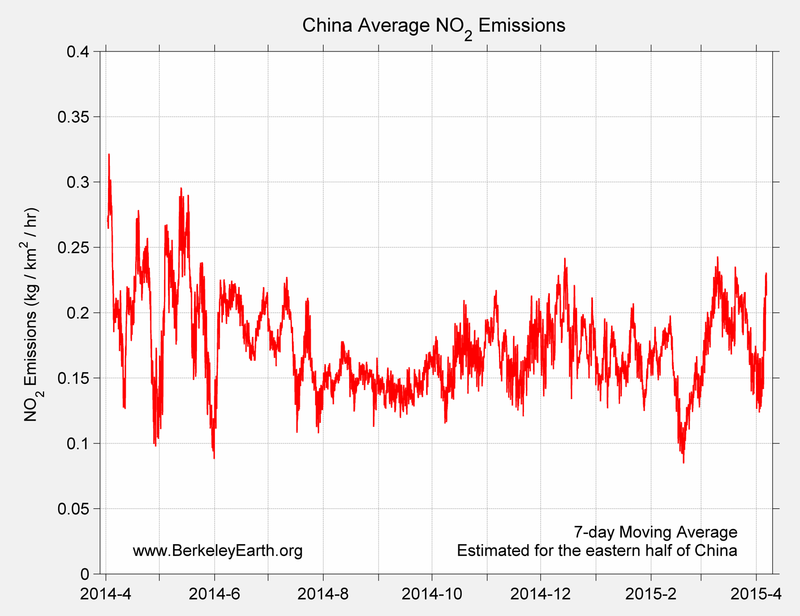 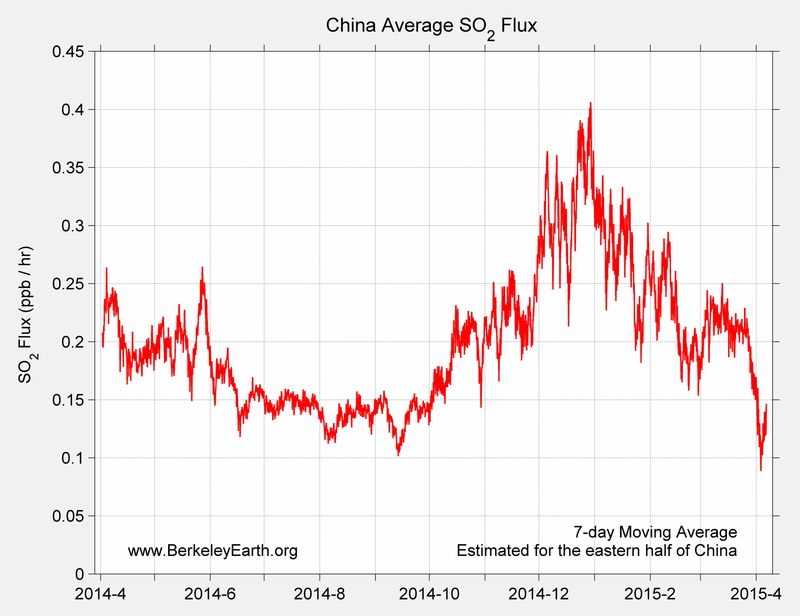 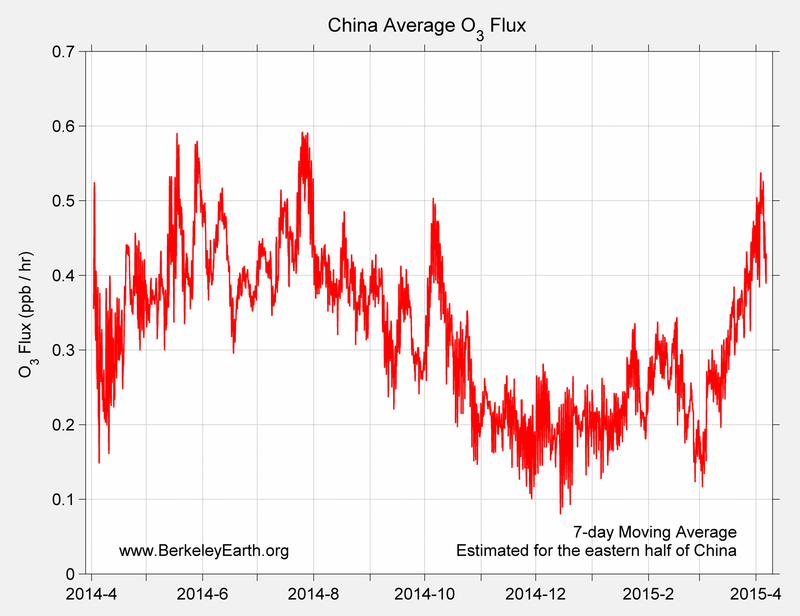 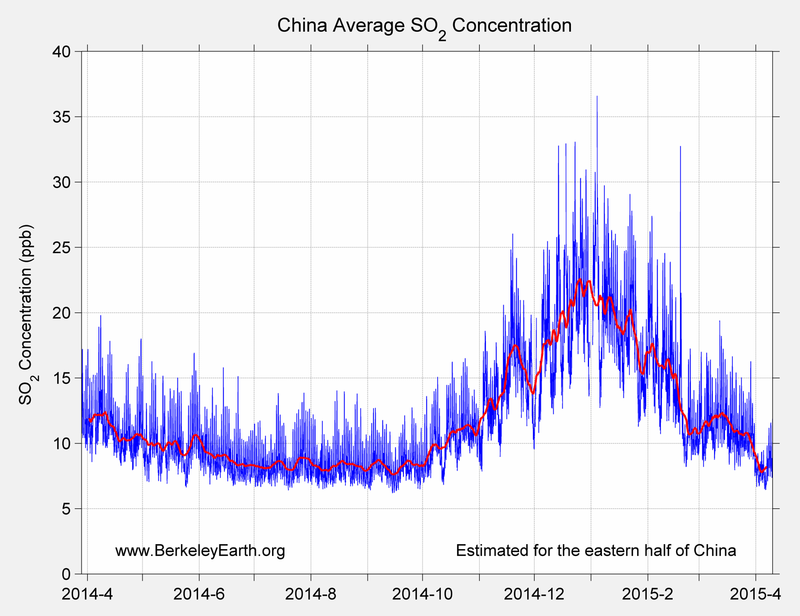 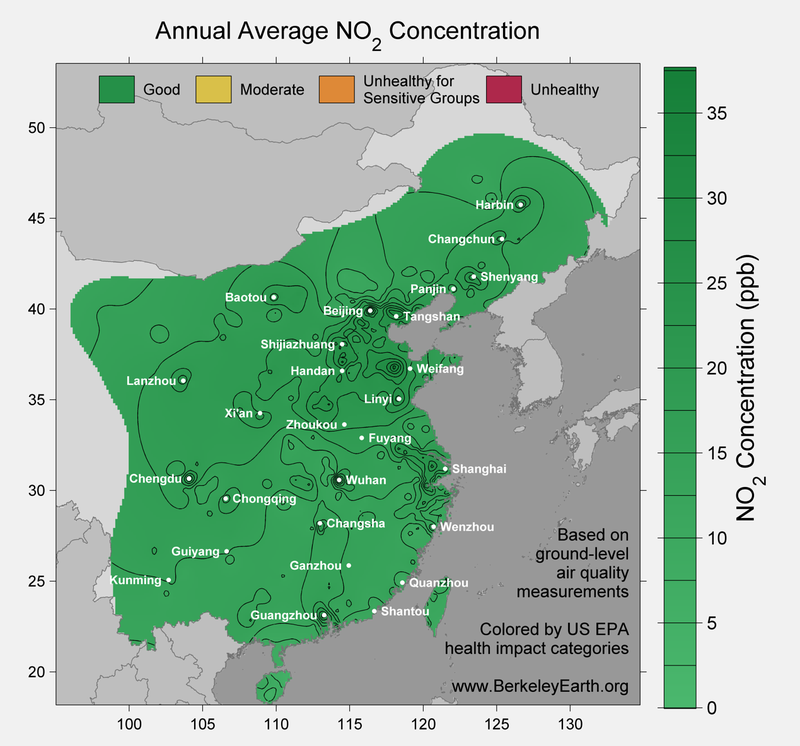 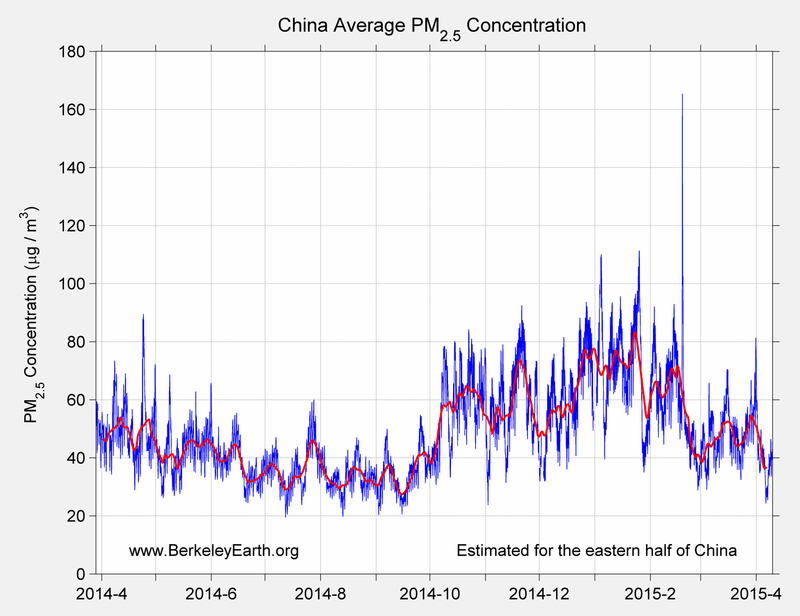 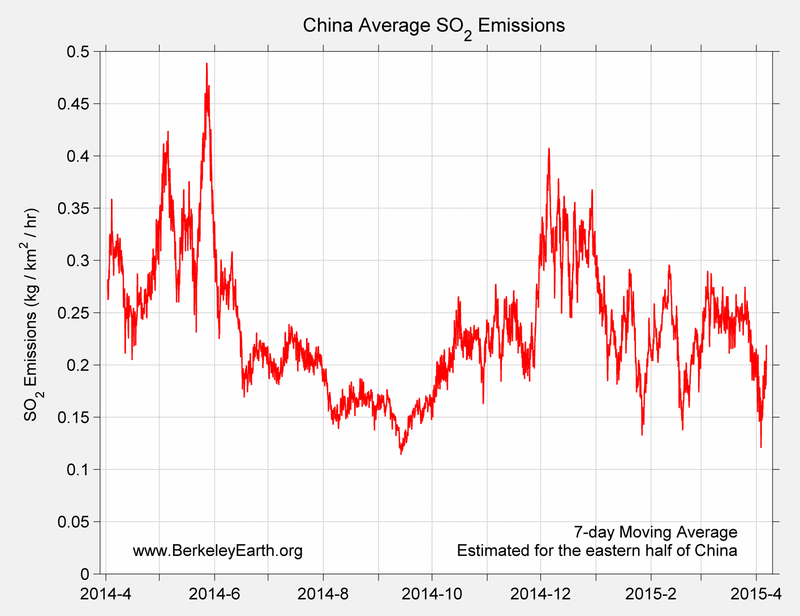 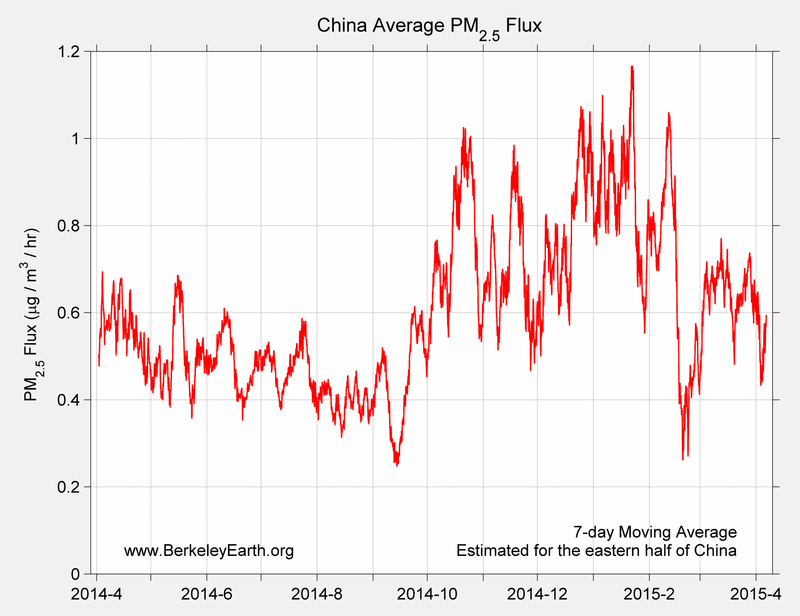 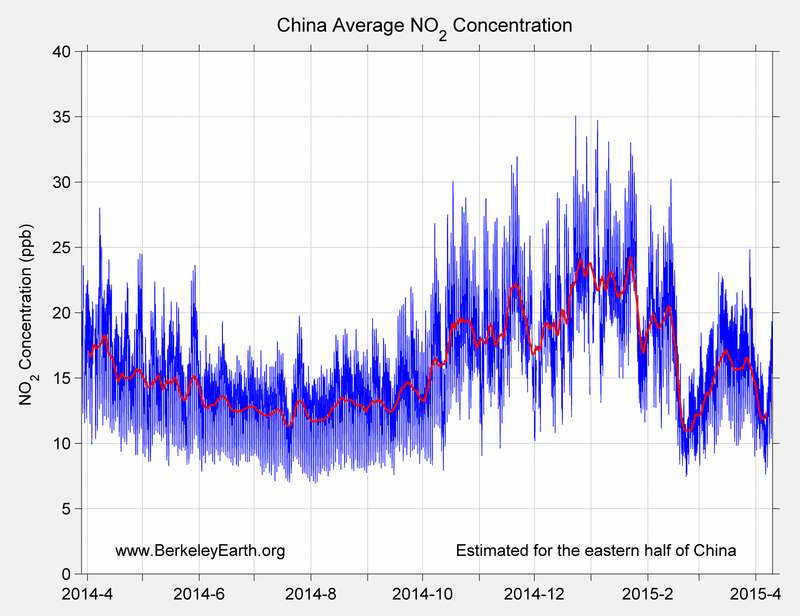 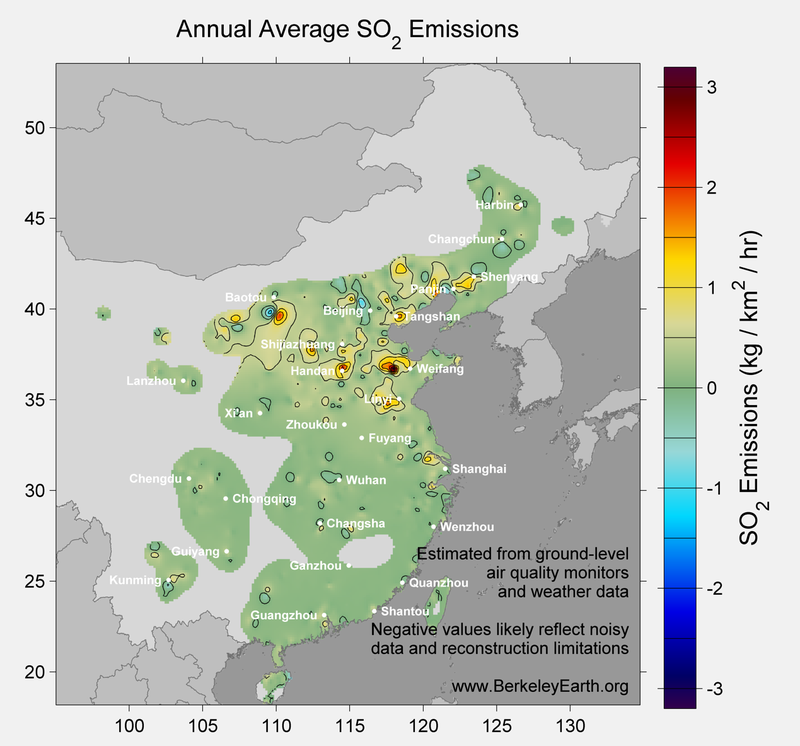 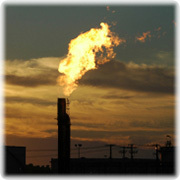 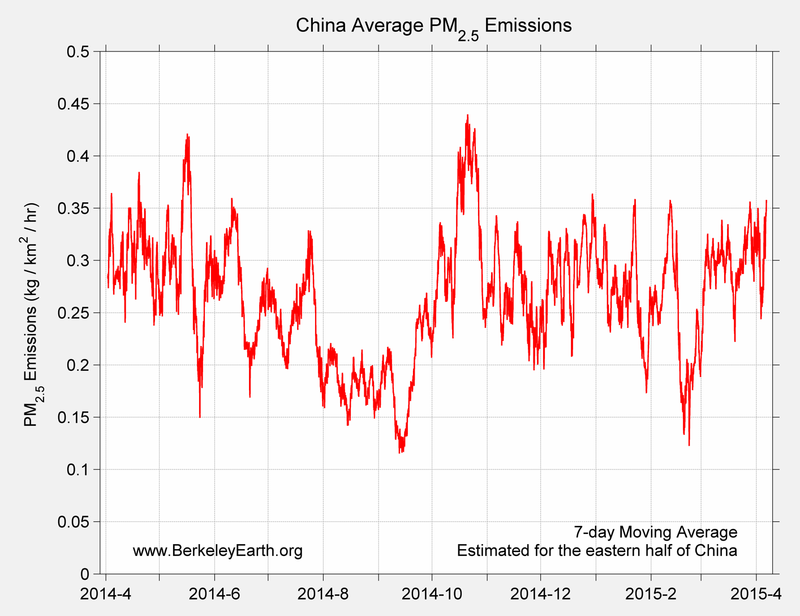 In April 2014, Berkeley Earth began a major new effort to collect and analyze the world’s air pollution data. 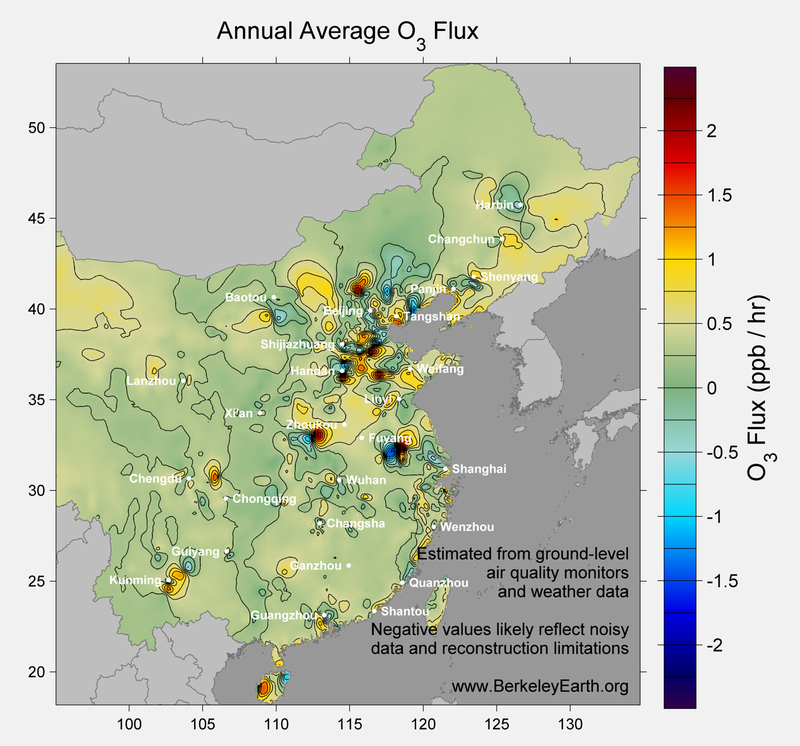 In August 2015 our first scientific paper on air pollution in China, was accepted for publication by PLOS ONE (expected publication date is 20 August). 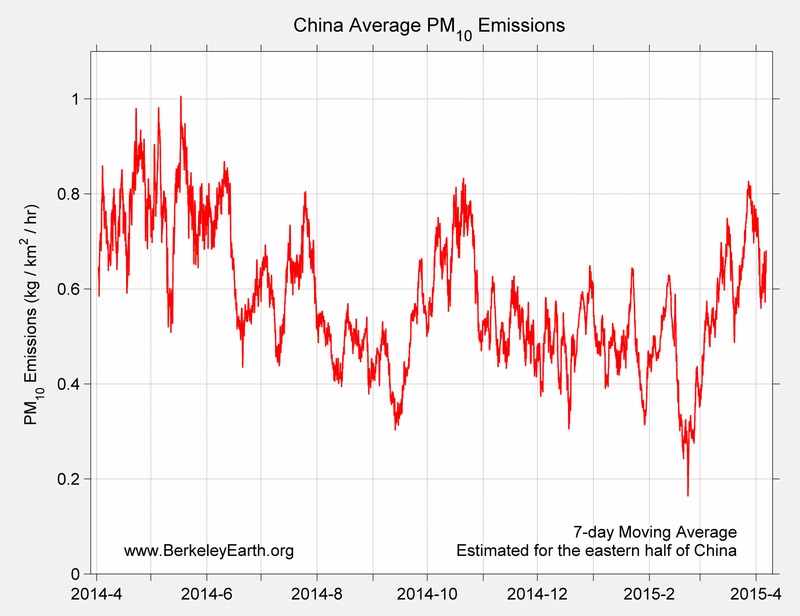 The paper included four months of data, but we now have analysis and data for 16 months, April 2014 through August 2015. We found that 1.6 million people are dying every year from air pollution in China, and we have also been able to identify the sources of the air pollution. 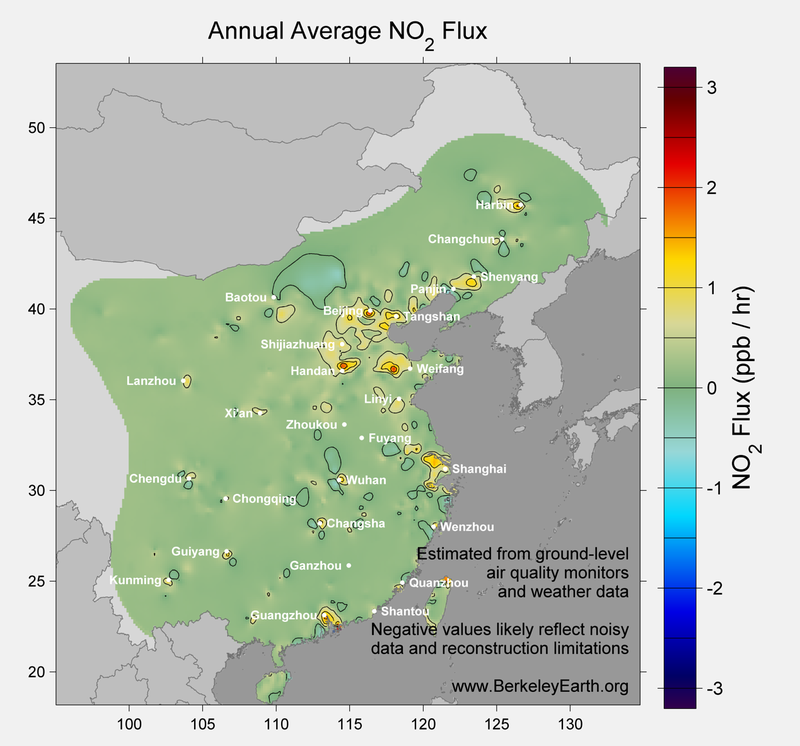 Scientific Paper, accepted for publication by PLOS ONE (expected publication date is 20 August). You can also download the data from our paper here. 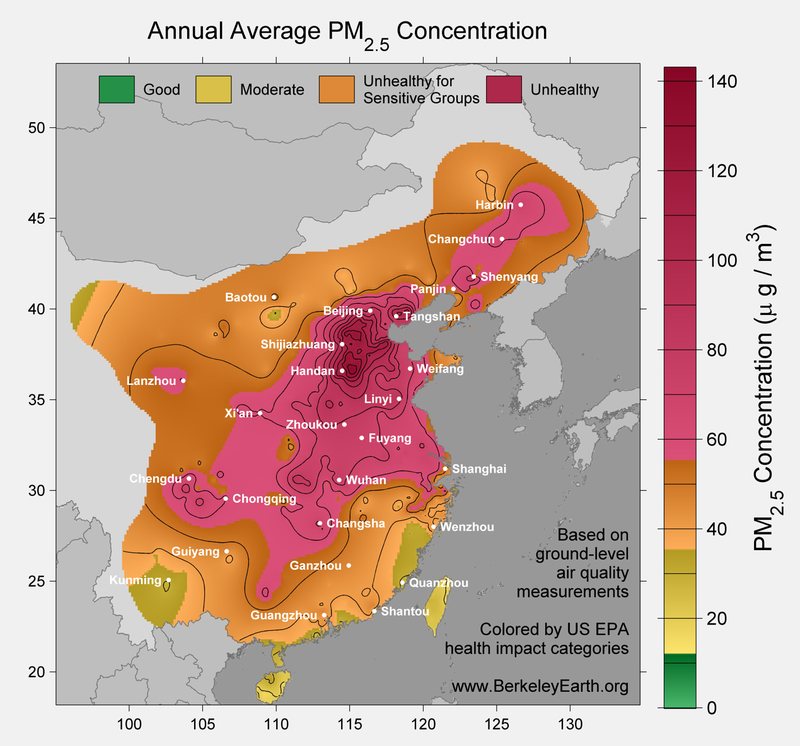 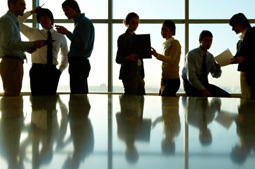 Over the coming year, we hope to greatly expand this work to include other parts of Asia, the US, and Europe.